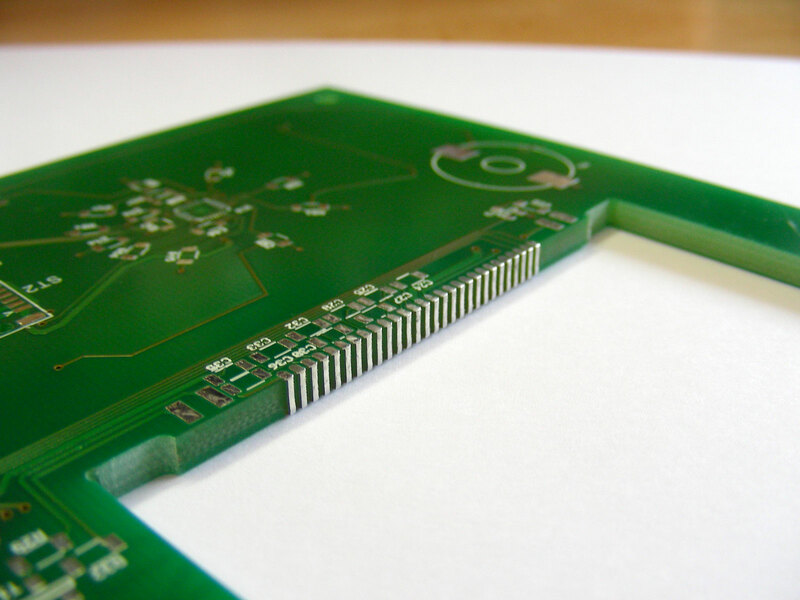 With sideplating of printed circuit boards, the PCB edge is used for technical features of the later assembly. Portions of the printed circuit`s contour but also partial areas within the circuit board can be metallized. The (outer-) contours, to be metallized, must be milled before the through-hole plating process, as the metallization of the edges takes place during this production step. After the deposition of copper the intended surface finish is finally applied to the edges. For sideplating we recommend the surface ENIG (chemical gold). 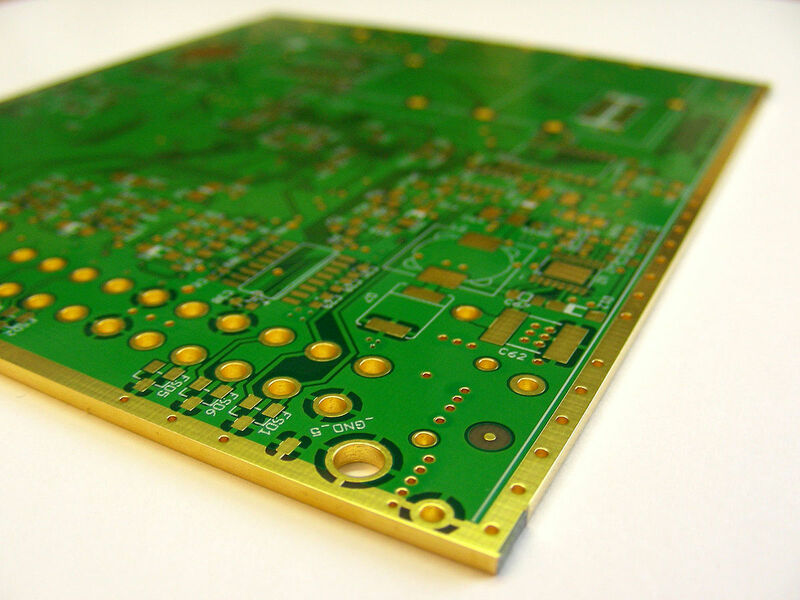 Through the process-related manufacture of the individual printed circuit boards as a panel, a continuous metallization of the outer edges is not possible. No metallization can be applied where the small (panel-)bridges are located. On request, the sideplating can be covered with solder-stop. To guarantee the producibility of the sideplating, the metallized area must be defined using overlapping copper (copper surface, pads, or tracks) in the CAD layout. Minimum overlap: 500μm. On the connected layer, min. 300µm of connected copper must be definded. On non-conected layers, the copper should have a gap of min. 800μm from the outer contour.